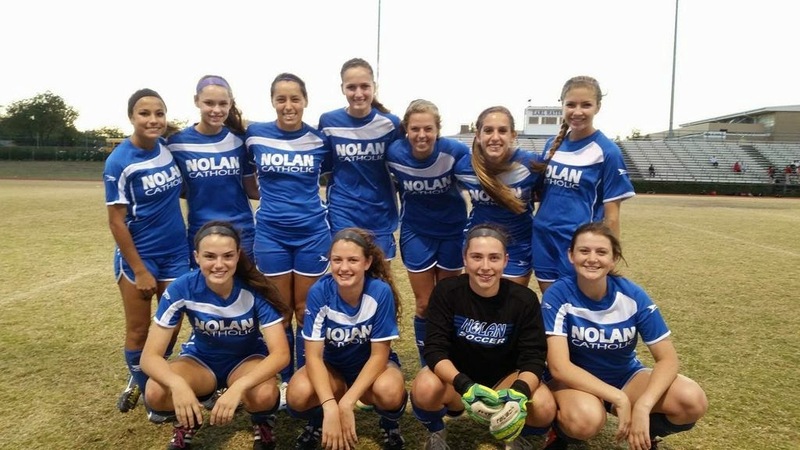 See what some LVSers are #THANKFUL for....LVS Soccer Family, Friends, and the Nolan Catholic Community. The sacrifices you make today will lead to a better you. Featuring… Birbs, Regan, Weslee, Allison, Gamboa’s, Wiche, Emily, Sarah Brown, Sarah Becan, Abbey, Sophie, Becca, Emrich’s, Kittle, Brennan, Paige, Alyssa, Anna, Megan B, and Taylor. Family, Friends, Dog, Love, Laughter, Cowboys, Apple Pie, Food, Faith, School, Soccer, Whataburger, and LVS. Be proud and thankful of who you are!!! 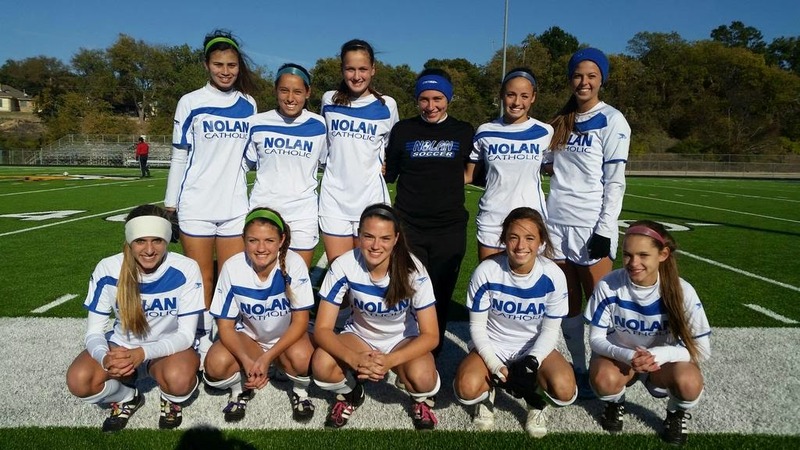 The Nolan Catholic women's JV team got back on the field after nearly 2 weeks without a game and did it in fine fashion. They played host to the Bishop Lynch Lady Friars only waited to the 2nd half to catch fire. Head coach, Alex Mechalske said, "We were chipping away the whole time and got the well deserved win." Mikaelya Gamboa got the Lady Vikings on the board and Tatiana Rosario added the insurance goal. Both goals occurred in the second half and the Lady Vikings road that 2 goal lead through to the final whistle. The JV improved to 2-1 on the season and 1-1 in district play. They take on the varsity team from Pantego Christian Academy tomorrow at 4:30pm at Doskocil Stadium. TAPPS 1-5A continues to be a district to be reckoned with...the top 3 teams are nationally ranked in the Top 25 and full of college soccer commits. Two of the 3 powerhouse programs in the district met tonight at Nolan Catholic and the fans got a treat. 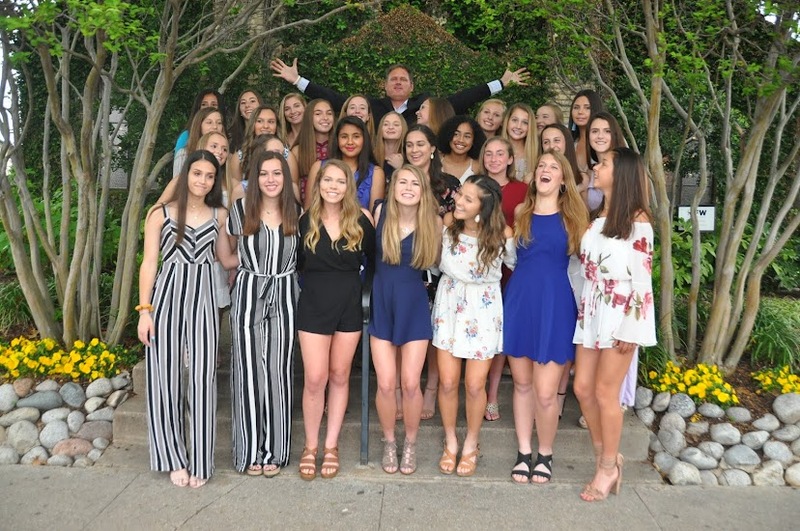 With 5 goals scored, end to end action, and dynamic play from every position on the field, this wasn't your typical women's high school match but your typical TAPPS 1-5A match. But it was Bishop Lynch that got the last word in and came away with a 3-2 victory over Nolan Catholic improving to 4-1 on the season and in district play. The Lady Vikings did not waste any time getting on the board with a Sarah Brown goal in the 3rd minute off a pass from Marissa Baldasti. The half saw impressive attacking personality from both teams throughout the half but unfortunately for the Lady Vikings, the Friars were able to even the score before the end of the opening half. The two teams continued to put the pedal to the medal throughout the 2nd half and senior, captain Gwennie Puente was able to take a well played ball from Megan Bettinger and while getting hammered during her attempt was able to put the ball in the near post top corner for a 2-1 lead. "The timing, the pass, the connection, the run, and the finish were all top class," said Lady Vikings head coach, Jay Fitzgerald. Bishop Lynch had the answer and with 8 minutes to play the Lady Vikings were down for the first time in the match after the Friars scored 2 unanswered goals and that is how it ended. Fitzgerald commented, "We left some chances on the table and we will capitalize on those in the future; tons of upside and we are just 6 games into a 30+ game season." The Lady Vikings return home the Monday after Thanksgiving on December 1st to take on Trinity Christian Academy at 5:30pm (JV) and 7:00pm (Varsity). 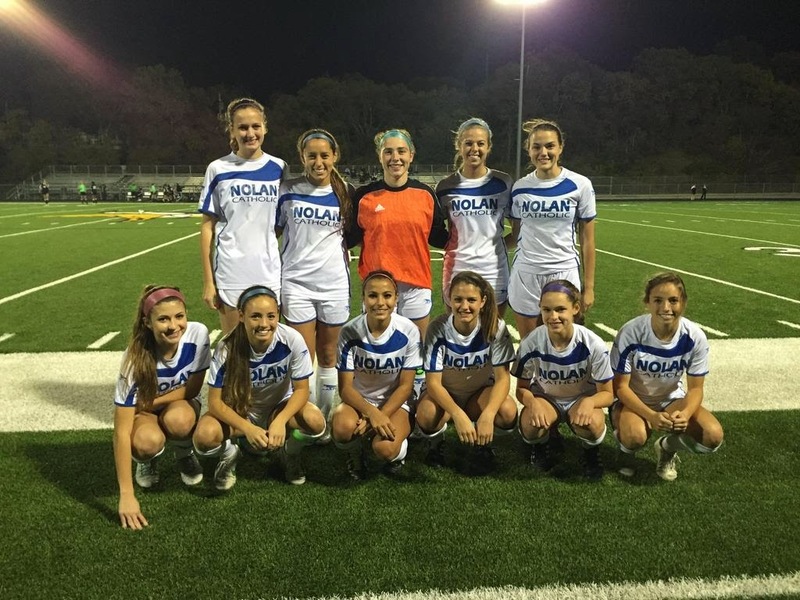 The Nolan Catholic women's soccer team improved to 5-0-0 on the season with tonights 4-0 shutout on the road against Liberty Christian. Jordan Gamboa started the scoring off after Gwennie Puente was brought down in the box by the goalkeeper. Gamboa followed up the lose ball and put the Lady Vikings on the board in the 2nd minute of play. The buildup play continued as Lady Vikings goalkeeper, Piper Head started the attack with an early ball out to Emily Keoughan who connected in the midfield and then through to Gabbie Puente down the left side who sent an early ball to her sister, Gwennie who deposited it in the top corner to double the Lady Viking lead. Just before half, Gwennie Puente took another ball from Gabbie and smashed it near post for a 3-0 lead just before halftime. Throughout the 1st half, senior GK, Piper Head came up with a couple saves to keep the clean sheet and that continued through the second half and the end of the game for her 5th shutout of the season. Jordan Gamboa, Marissa Baldasti, Emily Keoughan, and Megan Bettinger all had quality opportunities in the 2nd half and kept the pressure on the Lady Warrior back line and just couldn't get one in until the end of the half when Gamboa scored her second goal of the game and of the season off a cross from Sarah Brown. Associate Head Coach, Todd Fitzgerald said, "When you keep pressing and attacking good things happen, we won both halves and we didn't have our best stuff but those goals were fun to watch." The Lady Vikings return home just for the 2nd time this season as they host Bishop Lynch on Thursday night. The JV kick-off at 5:30pm and the varsity follow at 7:15pm. The Lady Vikings find themselves on the road again tonight as they have been for 3 of their first 4 games on the 2015 season. Tonight, the Liberty Christian Lady Warriors play host to Nolan for a 5:00pm varsity kick-off. JV will turn around and play again on Friday at Doskocil Stadium at 4:30pm against the varsity team from Pantego. It must be soccer season. The bitter north wind kicked in just in time and slowed the Lady Vikings down for just a little bit until Gwennie Puente opened the scoring in the 8th minute and doubled that lead just 16 minutes later. Jordan Gamboa and Gabbie Puente had the helpers. The Lady Vikings continued their push and got 2 more goals, the first one on a PK and the second one off a corner. Emily Keoughan got taken down in the box as she made her way from midfield, and converted on the attempt. Centerback, Regan Hafer took a Gabbie Puente corner and headed it over the outstretched arms of the Prestonwood goalkeeper to build on the lead, going into halftime on top 4-0. Keoughan added 2 more goals in the second half completing the hat trick. Rebecca Traynor and Jordan Gamboa had the assists on Keoughan's, two, second half goals. Kat Paul finished off the afternoon with her first goal of the season with 12 minutes to go. Head coach, Jay Fitzgerald mentioned, "we created and scored goals from a lot of different areas on the field." The Lady Vikings improve to 4-0-0 overall and in district play. They will go on the road again Monday to take on Liberty Christian before returning home on Thursday to host Bishop Lynch. A HUGE THANK YOU GOES OUT TO OUR SERVICE MEN & WOMEN. With 5 different players scoring in tonight's 10-0 win, the Lady Vikings improve to 3-0. Freshman, Megan Bettinger takes her hat off and then adds one more for 4 goals on the night, 6 on the season. Marissa Baldasti and Sarah Brown each score a pair while Kat Paul and Emily Keoughan add one a piece. "With adverse conditions and our first game on grass this year, we were able to establish a real good rhythm tonight and everyone contributed," mentioned associate head coach, Todd Fitzgerald. The Lady Vikings are known for spreading the wealth and in the last 3 games, 12 different players have contributed in the LVS scoring, 8 of those players, have scored goals. District season continues on Thursday as the Lady Vikings host the Lady Lions from Prestonwood. 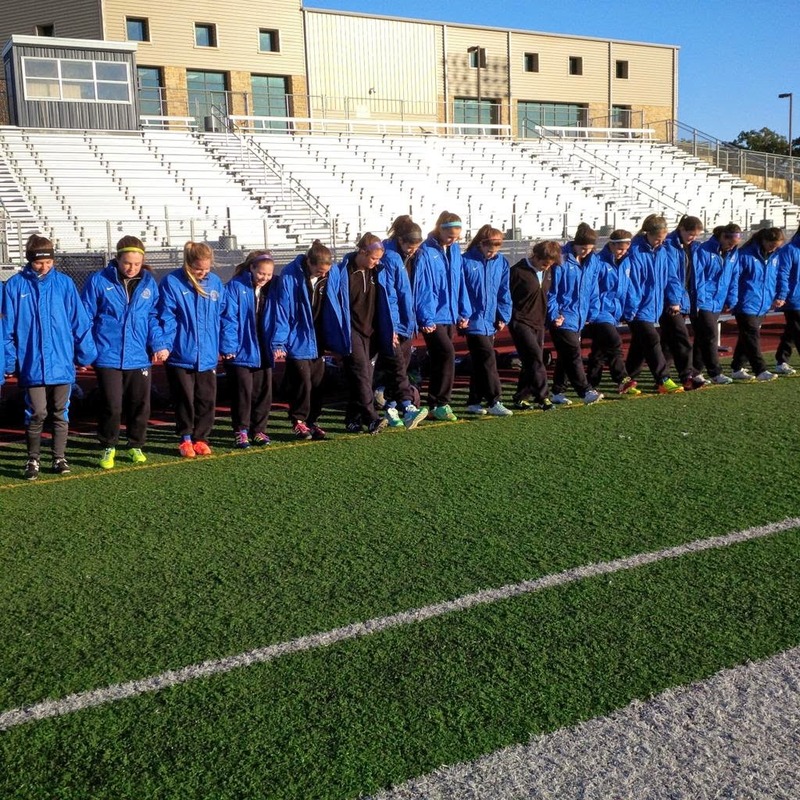 This marks the home opener for the Nolan Catholic women and the first varsity match on the brand new Doskocil Stadium surface. That match will kick-off in the afternoon at 3:00pm. The Lady Vikings head on the road again on Monday as they travel to Bishop Dunne for a 5:30pm tilt. The 2-0 Lady Vikings take on the 0-1 Lady Falcons. Bishop Dunne lost at Prestonwood by a score of 2-0 last week. 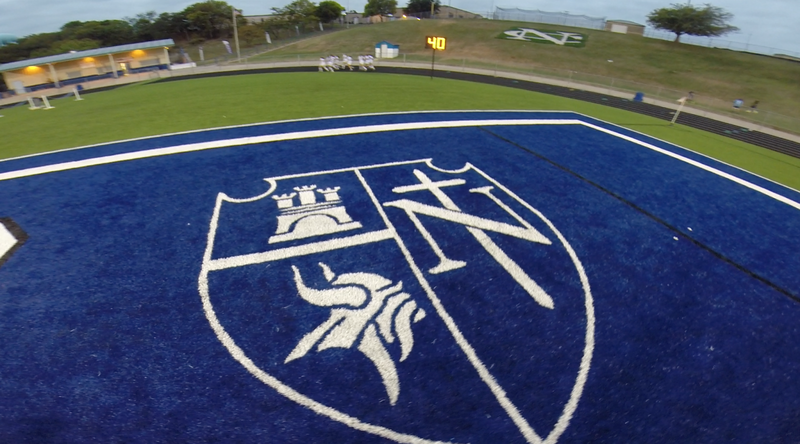 Nolan Catholic will host Prestonwood for a rare 3:00pm district kick-off on Thursday. 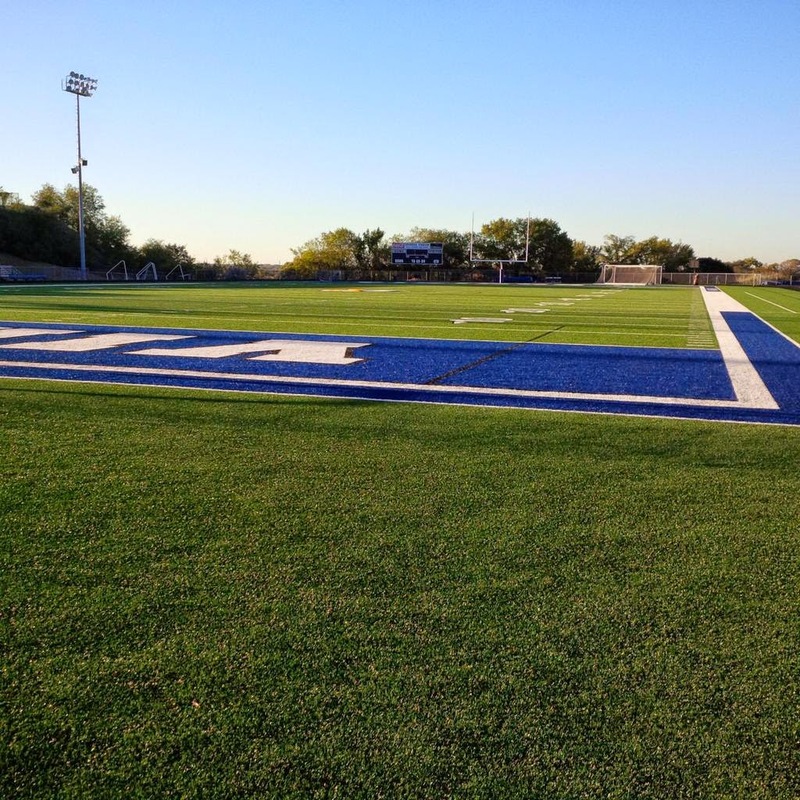 This will mark the first varsity district home match on the new surface at Doskocil Stadium. 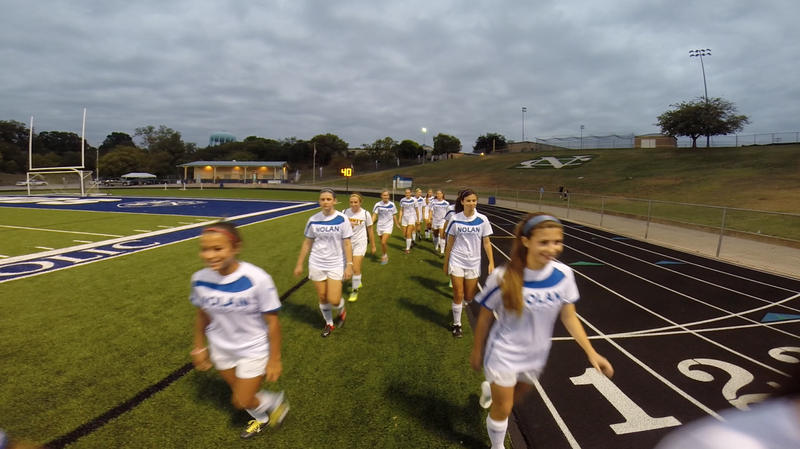 The Nolan Catholic Women's Soccer team rolled this evening past Parish Episcopal by a score of 3-0. It wasn't until the second half when the Lady Vikings got on the board with goals by Marissa Baldasti, a second in as many nights for Megan Bettinger, and third added by sophomore, Kate Kleiser. The Lady Vikings outshot Parish 25-1 in a match that saw LVS opportunities from all over the field: breakaways, crosses, combinations, set pieces, etc. Head coach Jay Fitzgerald commented on the night, "We put major pressure on them from the opening whistle; their GK played well but we just chipped away all night and scored 3 fabulous goals." It was a bit of a frustrating first half for the Lady Vikings as they could not buy a goal but it wasn't for a lack of rhythm. Of the 25 shots, 18 of those were on frame. "We had players playing all sorts of different roles from last year, and for us to create the amount of quality chances we did, is a tribute to the attention to detail this group has," said Fitzgerald. LVS forwards, Emily Keoughan and Kat Paul both played outside back the entire second half and gave up nothing. Centerback, Kate Kleiser pushed up to central midfield and got 2 shots off and on her 3rd, scored the final goal on the evening which turned out to be the #TACOgoal. The Lady Vikings will stay on the road on Monday as they take on Bishop Dunne which will kick-off at 5:30pm. This match was originally suppose to be played at Nolan but was switched to Dunne. The Lady Vikings travel to Parish Episcopal on Thursday night for a 6:30pm kick-off. Parish is the newest team to join TAPPS 1-5A. The match will be varsity only as Parish was not able to make a JV team. 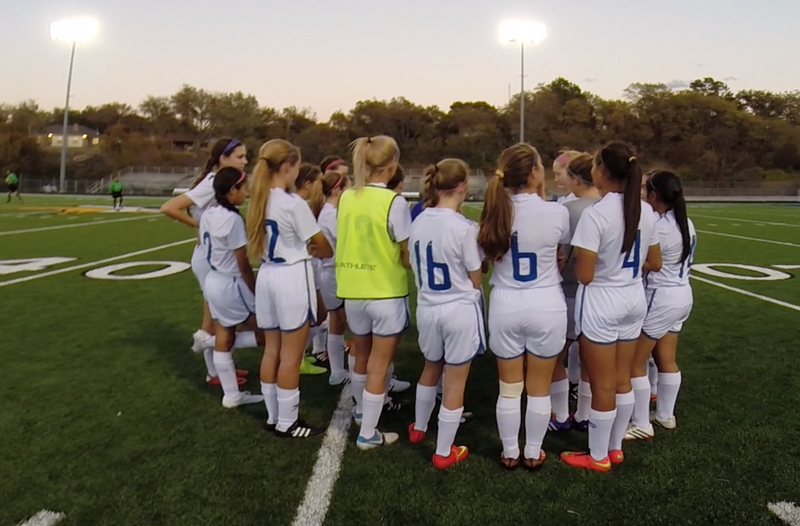 LVS opened on the road on Monday night with a 3-0 win over John Paul II and Parish had a bye. Other district scores on opening week saw Ursuline beat TCA 6-0, Lynch take down Liberty 4-0, and Prestonwood overtake Bishop Dunne by a score of 2-0. In other news for the Lady Vikings, there will be a new Nolan Women's Soccer app that will launch later next week for players, parents, fans, and alumni to get up to the minute updates on the program. 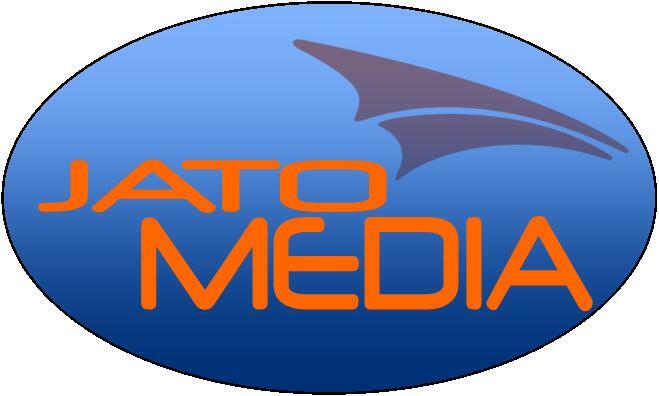 The app will be available through iTunes, Google Play, and Amazon. The Lady Vikings couldn't wait to get the new season started after losing just 2 games in 2014. They go on the road and get another result. 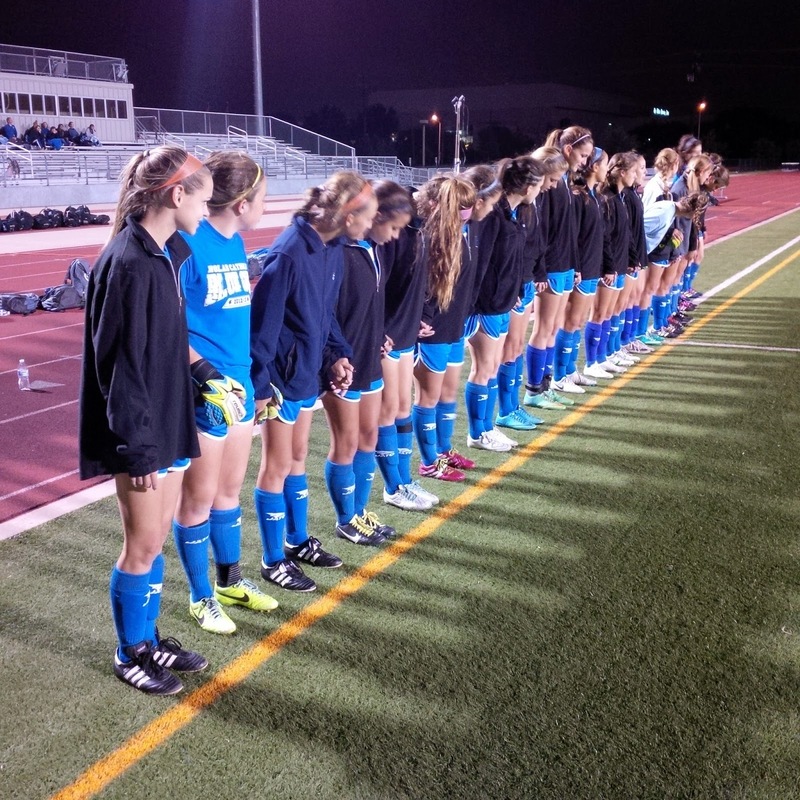 Traveling to John Paul on Monday night, Nolan Catholic earned a convincing 3-0 shutout over the Lady Cardinals. Gabbie Puente got the Lady Vikings on the board in the 14th minute after earning a free kick from just outside the corner of the 18 yard box. Puente sent a well placed ball over the top of the John Paul II goalkeeper who finished with 7 saves on the evening. Gwennie Puente and Megan Bettinger added to the Lady Vikings lead in the 2nd half in the 46th and 58th minutes. Bettinger, a freshman, scored her first career high school goal on the evening. "This was one of the most efficient games we have played in a long time, " commented LVS head coach, Jay Fitzgerald, "we had a good rhythm the entire game and our attacking mentality was impressive." Senior, GK, Piper Head earned the shutout on the evening with 5 saves. The Lady Vikings outshot the Cardinals 17-7 and are 1-0-0 on the season. Nolan will travel to Parish Episcopal on Thursday. Kick-Off is at 6:30pm. The JV team dropped their district opener to John Paul II by a score of 3-1. Even though the Lady Vikes scored the games first goal, John Paul scored 3 unanswered goals. Mikaela Gamboa scored on her first high school shot to put the Lady Vikings up 1-0. That was all the scoring the Lady Vikings would do on the evening. JV head coach, Alex Mechalske said, "We had some very dangerous moments on the day but we just did not execute early on goal, got behind, and just couldn't get that next one to go in." The JV doesn't play their next game until November 20th at home against Bishop Lynch on November 20th but will get a friendly or 2 in prior to that next district match-up. 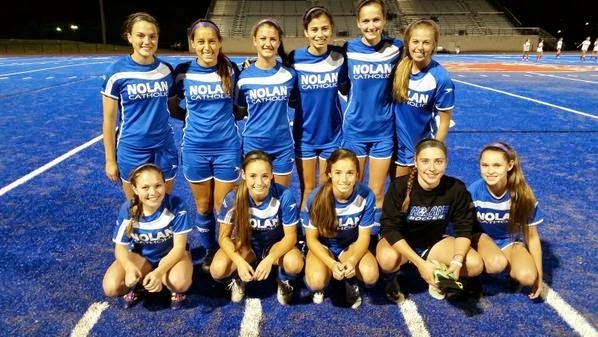 The Nolan Catholic Women's Soccer 2015 campaign starts on Monday night as they take on John Paul II with the JV getting it all started at 5:30pm with the varsity following at 7:00pm. Defending district and regional champions, a 24-2-5 record in 2014 and a Top 20 National Ranking, the Lady Vikings look to earn another trip to the Final Four. "Our program has won a lot of games throughout the years, but the group we had last year was special and this year is no different," commented head coach Jay Fitzgerald. Tryouts finished up a couple of weeks ago, the teams are set and it is time to hit the ground running. 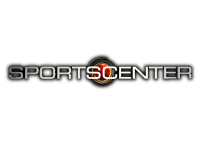 Fitzgerald added, "We play in one of the nation's most competitive districts and we pride ourself in playing one of the nation's top schedules." The Lady Vikings will spend the next 2 months with district play before taking on the public schools in January, hosting the National Elite Prep Showcase where they will take on teams from California and Florida. The remaining district schedule is sprinkled in throughout January and the beginning of February before the playoffs kick-off the middle of February. After Monday's tilt with John Paul II, the Lady Vikings remain on the road on Thursday as they travel to Parish Episcopal.